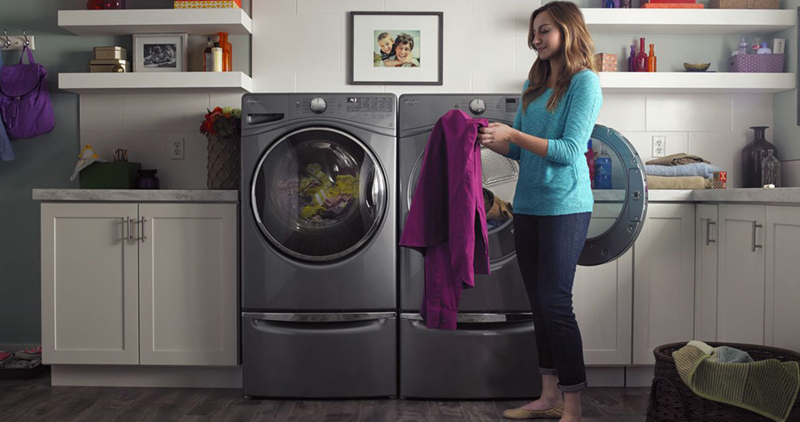 Choose Whirlpool washers to keep your family’s clothes looking their best. Daily life can be messy when your family is always on the go. Whirlpool washing machines are made to keep up. Whirlpool’s innovative washer features help you wash more in a single load. 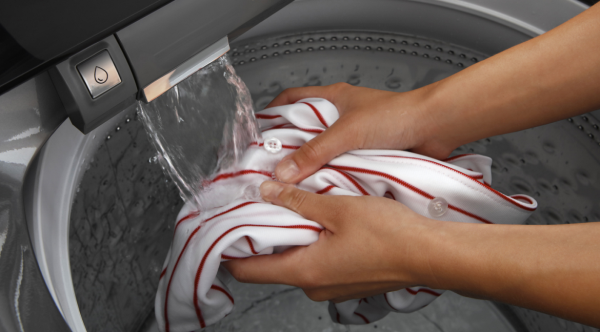 From soccer uniforms to kids’ favorite blankets, we’ll help to make sure whatever spots or splashes go into clothes, come out. 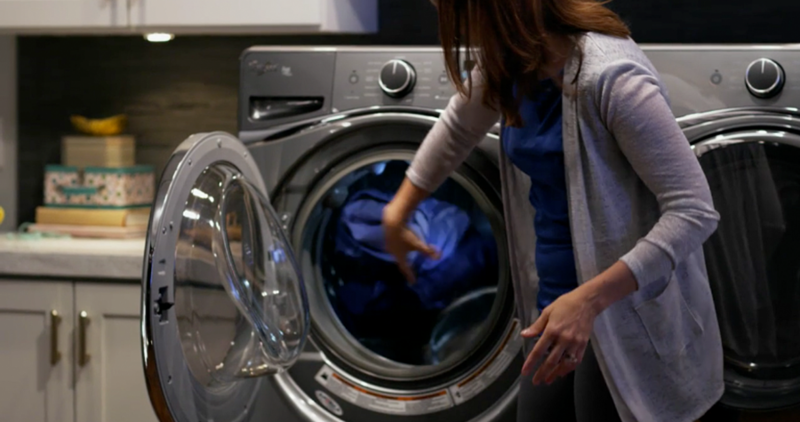 Browse Whirlpool’s full selection of washer options that’ll help you get laundry done faster so you can spend more time making messes instead of cleaning up after them. 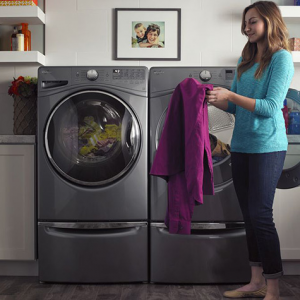 Evolving washer technology to fit your life. 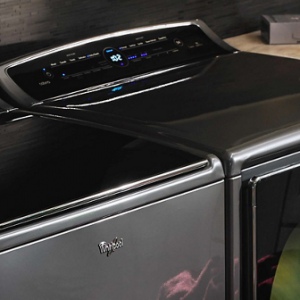 With Whirlpool top-load washers, you’ll discover ideal washing capacity for large loads, customizable fabric care and connected appliance technology. Their Intuitive Touch Controls let you customize or change cycles to align to specific care instructions. Sensor technology in our top-load washing machines recognizes the needs of your load and adjusts water levels and wash action. 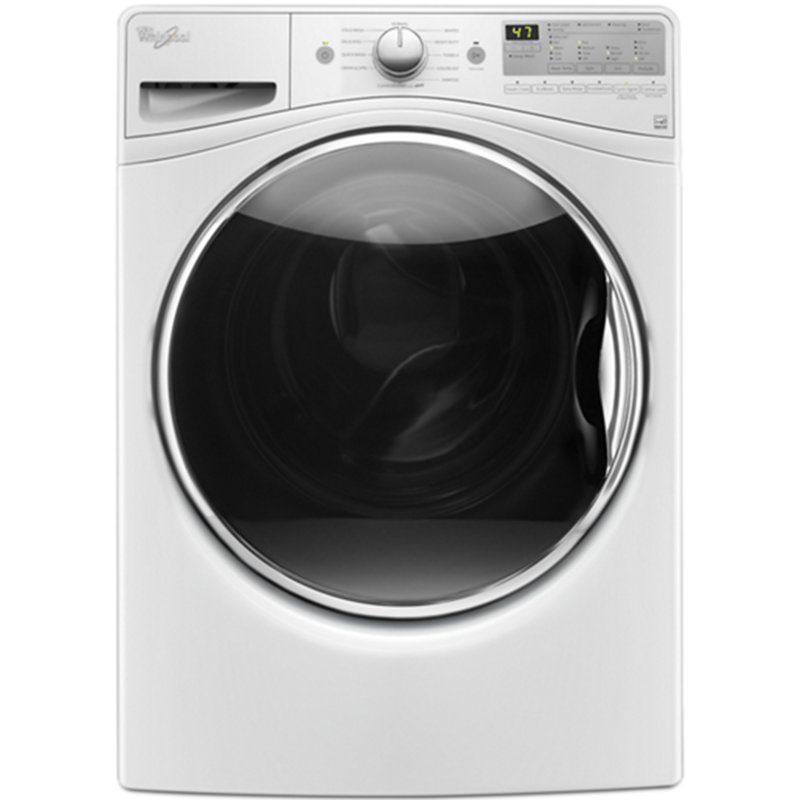 Active spray technology from Whirlpool covers laundry evenly with a water-detergent mixture to avoid pretreating. 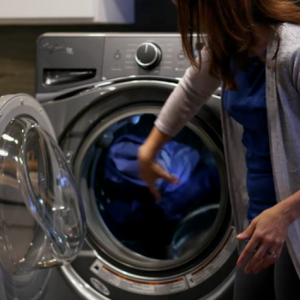 Plus, you can use their app to control connected appliances like their top-load washer while in another room or away from home. 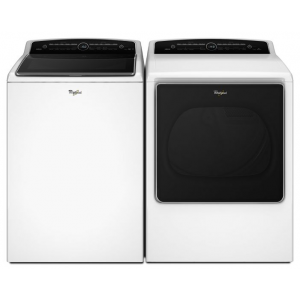 Top-load washers are flexible, eliminating the need to bend down to load and unload the wash. You can also add to or pause your load once it starts. 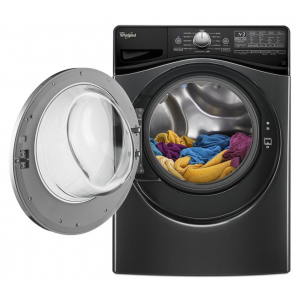 With high-efficiency top-load washers without an agitator, you have many of the benefits of a front-load machine, such as gentle cycles, steam clean and enhanced stain-fighting power, all while enjoying increased capacity. Agitator models are also available and offer a powerful wash action for your tough messes. 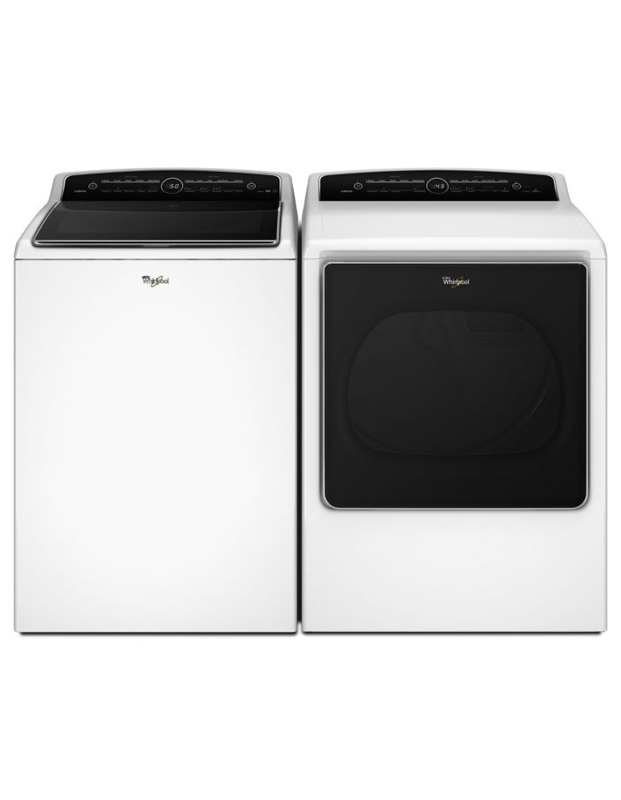 Compact and stackable, front-load washers are an ideal way to care for your family’s clothes when you have a smaller space or don’t have a designated laundry room. 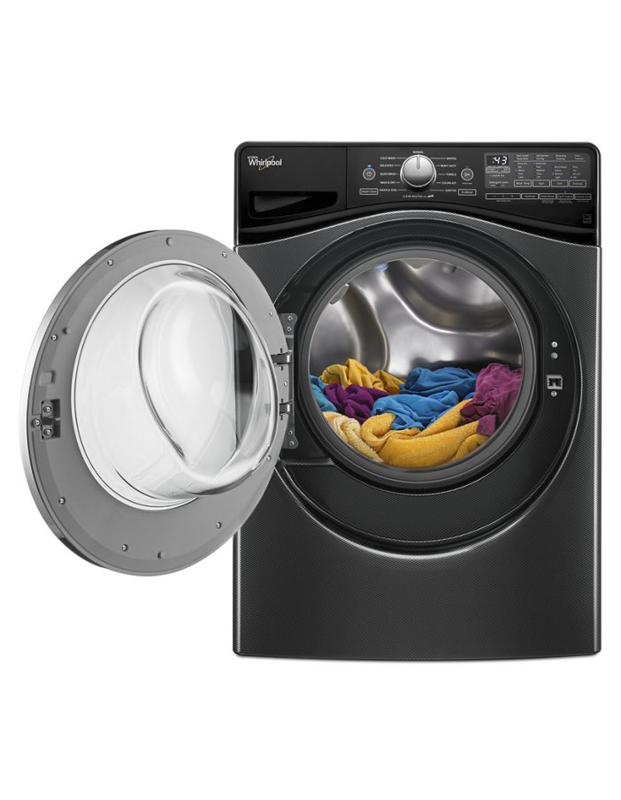 In addition to flexible installation and accommodating size, front-loading washers offer optimal cleaning power and efficiency. 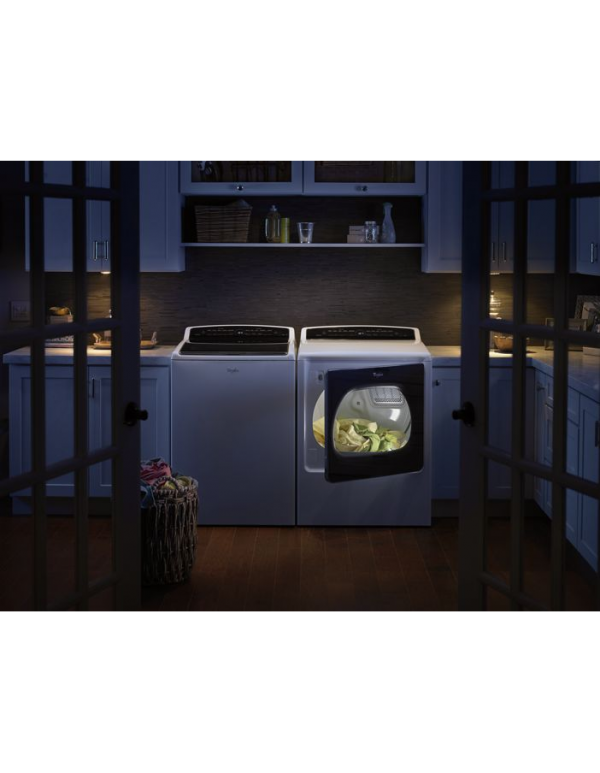 With Whirlpool front-load washing machines, you’ll also discover innovative benefits on select models, including the Wash and Dry cycle that allows you to do a load of laundry overnight in one machine. 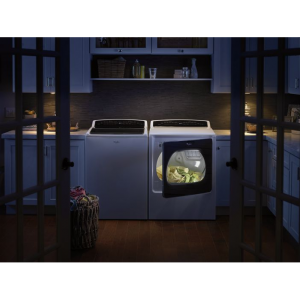 Additional features on select Whirlpool front-load washers include the Load & Go detergent system, presoak settings, a ColorLast cycle for optimal fabric care, a smooth stainless steel wash basket to help keep clothes from snagging or fraying, and FanFresh, a fan and tumble option that rotates your laundry occasionally for up to 12 hours after the cycle ends. 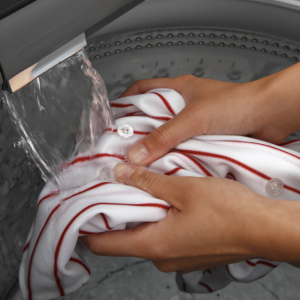 You can trust that Whirlpool appliances will give your clothes the care and clean you need. 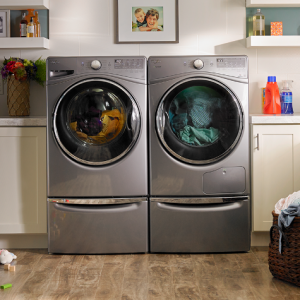 Choose a front-load washer to save space and time so you can focus less on your daily chores and more time with the people who matter. 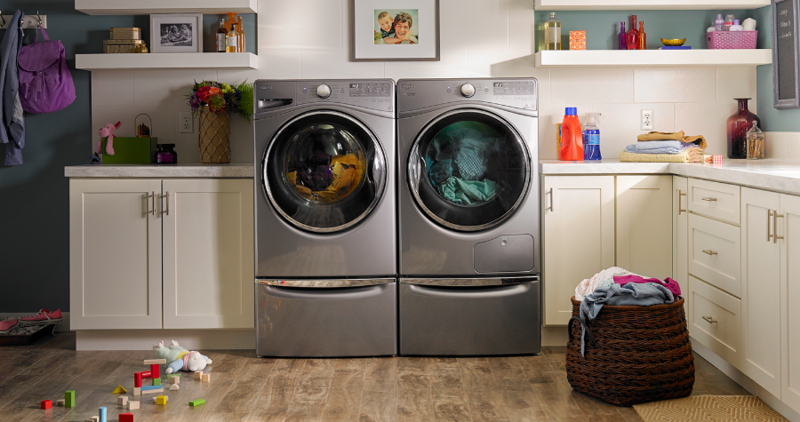 Whatever your family’s messes, you can rely on Whirlpool to help you clean them up.